"Brass Rules Revisited: Plus a Bonus Scratched Plate Variety" by Kevin P. Anderson and Patricia A. Kaufmann. "Ink Composition of the Typographed 5c Blue Jefferson Davis Issues - Revisited" by Harry G. Brittain. "Confederate Illustrated Packet Boat Cover Carried on the James River" by Daniel M. Knowles MD. "The Vicksburg Provisional" by Francis J. Crown Jr.
"Confederate Stencil Military Cornercard" - by James W. Milgram MD. "Confederate WAY Mail" - by Patricia A. Kaufmann. "Report of the 2019 Sarasota, Fla, 1-3 FEB Annual Convention" by John L. Kimbrough MD. "President's Message" by Deane R. Briggs MD..
"Editor's Pasteboard" by Wayne L. Youngblood. Click Confederate Philatelist Archives if you wish to review and read previous articles that have been posted here. There are currently 81 past articles posted. Access to an Authentication Service for CSA stamps and covers. The authentication service is also available to non-members, but the fees are higher. For more information about the CSA Authentication Service (opens in a new window) please visit the Service's separate website. 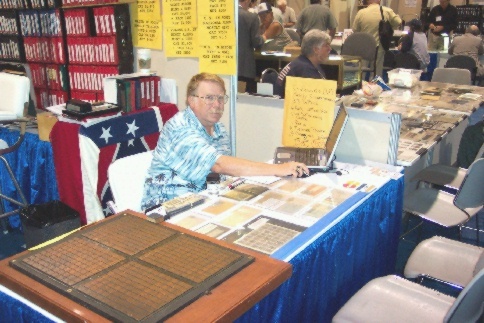 Annual Confederate Convention and Exhibition sponsored by the Confederate Stamp Alliance and held at various shows across the country. The next Confederate Stamp Alliance Convention is scheduled for the NAPEX 2020 show held in Tyson's Corner, Virginia 5-7 JUN 2020. Details will be posted when available. Convention Reports and Photos chronicle the CSA Conventions from 1999 to the present including a report and photos of the most recent 2019 Convention held at the Sarasota, Florida, National Stamp Exhibition in February 2019. In addition to the annual Convention, the Alliance sponsors another weekend meeting for Confederate Philatelists at various locations throughout the country and usually midway between the annual conventions. The 2017 Mid-Year Gathering was held in Tallahassee, Florida, in early December 2017. No mid-year gathering was held in 2018. There will not be a Mid-Year Gathering in 2019. Instead, the Confederate Stamp Alliance in conjunction with the American Philatelic Society will host a major event at the American Philatelic Center in Bellefonte, Pennsylvania, "The Civil War a Postal Sytem Divided" 24-26 OCT 2019.Reports and photos of prior Gatherings can be found on the CSA Mid-Year Gathering page. Also included on the page is a link to all the details of the upcoming major event at the American Philatelic Center. Confederate Stamp Alliance members receive an automatic 10% discount from my Confederate Stamps and Postal History Net Price Lists. Confederate States Catalog and Handbook -- In October 2006, the Confederate Stamp Alliance announced acquisition of the rights to the New Dietz Confederate States Catalog and Handbook last published in 1986. The 21st Century edition of the Confederate States Catalog and Handbook is long overdue and will no doubt be in much demand by collectors, serious students and dealers. The new catalog will take advantage of all the marvelous changes in technology that have occurred in the past two decades and will be a full color catalog. 17 OCT 2012 -- After six years of intense work, the new catalog is now finished and will be available before the end of 2012. Pre-publication orders are now being taken through the Confederate Stamp Alliance website www.csalliance.org. 7 APR 2013 -- The new CSA catalog is now sold out and out-of-print. Copies may still be available occasionally on the secondary market. If you are an active CSA Collector, the Confederate Philatelist and the above described discount from my net-price lists are well worth the annual dues. If you are interested in becoming a member of the Confederate Stamp Alliance, just access the CSA Membership Application (opens in a new window) and print it out. The directions for filling out the form and mailing it are self-explanatory. 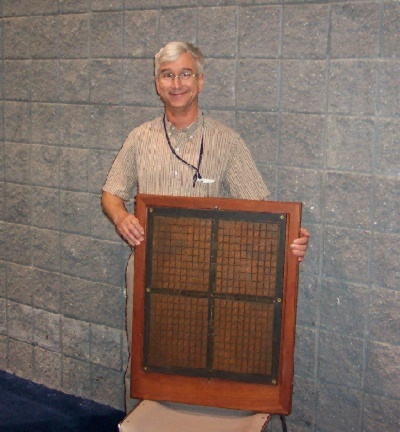 At the Washington DC 2006 International Show held 27 MAY - 3 JUN 2006, I had the privilege of having on display at my booth the original 2c Altered Printing Plate constructed for the Confederacy by De La Rue and Company in London, England in 1862. The plate was shipped to the CSA by De La Rue but never made it to Richmond and simply disappeared until August Dietz Sr was able to locate it and secure ownership in 1926. The plate was on loan for the show courtesy of CSA Member Colonel Bruce Engsler of Charlottesville, Virginia who is the current owner (only the third owner since 1926). 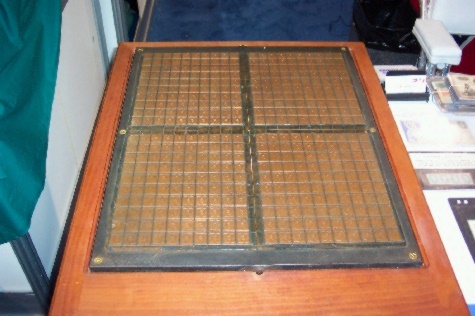 The plate can be seen in the left foreground in the picture below with a closeup following. A surprise visitor to the show is seen in the photo above. Holding the plate is August Dietz IV, Great Grandson of August Dietz Sr (1869-1963) who is known to all CSA collectors as the Father of Confederate philately. August Dietz Sr was a founder of the Confederate Stamp Alliance in 1935 and its first president. Mr. Dietz IV (known as Andy) was very kind to share with us at the booth family memories of his great-grandfather. He remembered the plate although he admitted that he had not seen the plate since he was eight years old. Another interesting fact is that Mr. Dietz IV is still in possession of the original Washington Flat Bed Press used in Richmond to print the CSA stamps. August Dietz Sr obtained that press many years ago, and it is still in the family's possession today. Click PHOTOS if you wish to see some additional pictures from the Washington 2006 Show.